It’s been about 5 years for Xiaomi entering the smart device market. While they have become one of the top leaders in the smartphone industry, they haven’t really failed to attract people in other smart appliances as well. Even in accessories department, they have made quite a good success. 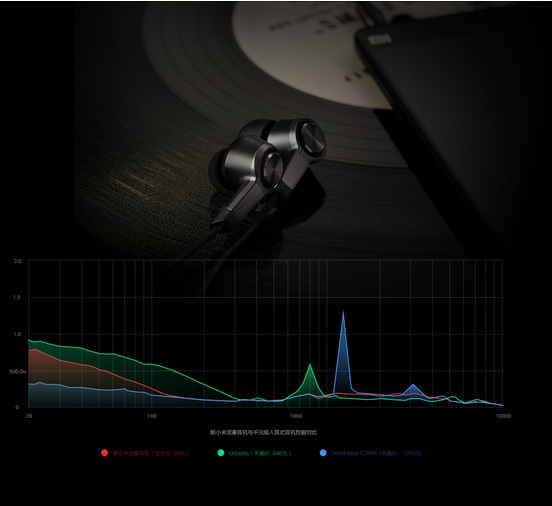 Xiaomi has already sold over 10 million units of their famous Xiaomi Piston in-ear headphone. So, it was about time they announce a new upgrade for the predecessor. Corrosion resistance and not easily fade in color. Xiaomi mentioned that the new sound optimization is exclusively patented. The device also comes with the popular tough pull resistant (also bulletproof, if you believe the translation that is) Kevlar Silk Fibre which promise to protect the headphone cable and provides more lifetime promise. As you can see from the image below Xiaomi also changed the way in-ear headphones fits in the ear and according to their demand it is more comfortable and medically tested. The headphone comes in the usual but new looking gift pack along with three different size of ear buds. And if you are not convinced with all the things written above just so you know the headphone costs only 99 yuan or $16. Yes you read that right, $16!